Please call me for affordable tuition in Music Technology and Sound Engineering. Lessons tailored to your requirements. Covering use of microphones, recording and mixing techniques, use of effects such as compression or reverb, Cubase, Reason, Logic, Digital Performer, Pro Tools, Studio One, Sonar, sampling, soundcards, sequencing and composition techniques. I'll help you with what you want and need to know. I teach privately covering a number of different areas and programmes, I have taught Music Tech at a few schools in the south and have assisted with teaching part-time at a London music school. My corporate clients include BBC Worldwide and the Nautical Institute. If you need help with recording, mixing or mastering your tracks or with general production issues please give me a call. I am really happy to help with all parts or any part of the process. 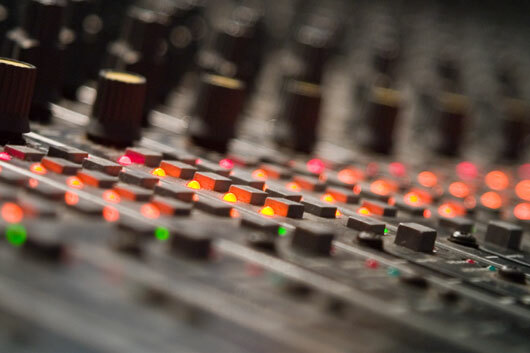 This page will contain free tips covering Sound Engineering and Music Technology. 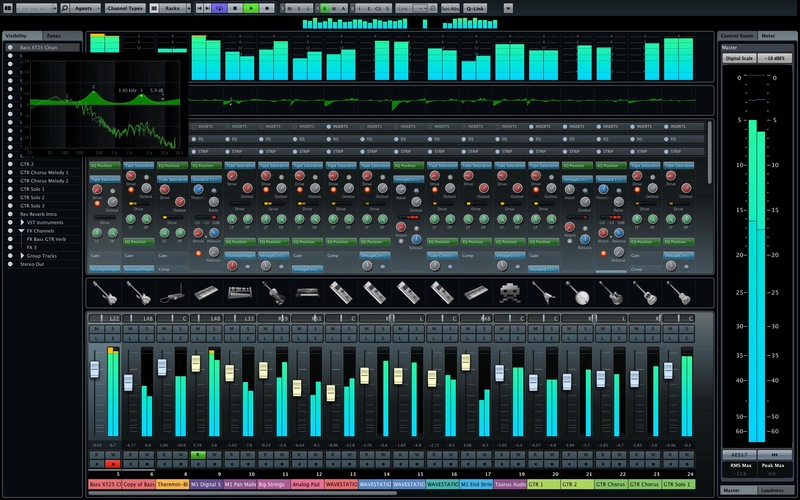 Including tips for Reason, Cubase, Logic and much more. I will now be adding tips via Twitter but they should appear here soon after appearing on Twitter. @abletonlive It might be a pain if you don't have a DVD drive but installing the suite from the web is the easiest thing ever. Well done! @Cubase Can now send MIDI to Instrument tracks from alternative MIDI tracks. So much more flexible. And can get Multiple outputs too! If you want to quantize audio beats in #Logic9 using Quantize engine create a back up of the audio file first because Undo doesn't work. Buying #ProTools , #Logic or #Cubase then make sure it's compatible with your PC/Mac before you part with your cash. When recording always make sure that the signal you are recording is as high as possible without clipping. If you have a good signal then you will have less noise and therefore a better recording. It's easy with Analog. If you are close to the top without pushing too hard you're unlikely to ruin a take. Recording digitally into a computer or hard disk recorder if you push it too hard you will get potentially take ruining distortion. However, you don't have to push it too hard in these days of 24 bit recording, just make sure you don't clip. Use the best microphone you can for the job. For vocals try Neumann, they're expensive but excellent. Also, more in range either AKG, Rode, Audio Technica or SE Electronics, amongst many others. Always remember to try them out first. Get one that suits you or the singer you are most likely to record. If you use the right microphone you'll get a better signal (see above). When using a noise gate on a track especially drums don't get to the point where it adversely affects the sound of the drum. If you can't get the drum sound right with a noise gate, don't use it. Please beware of problems with poor quality components, some soundcards use non-standard midi connections and provide problems with reliability. If you are using OS X for Mac what is the best system depends on what software you are using I am still not using Sierra, although I may try in the next few weeks as it has started to bed in. If you have got something that is stable stick to it, the only reason to change is getting new hardware or software that requires a new operating system. Even then please make sure all your kit will work with it by looking on your software providers sites. Also, clone your system first so if anything goes wrong you can go back, test the clone works first. Additionally, always be aware of new releases of Operating system software and don't install it as soon as it is released, this is potentially harmful to your sanity. And can definitely cost you a lot of time trying to restore information. You can use your iPhone, iPad, iPod Touch, Android Phone or Tablet as a remote controller for pretty much any DAW. If you have any of the smart phones or tablets you can use them as a control surface or MIDI controller. I had a look at TouchDAW Free for Android. It took less than 5 minutes to set up once I had downloaded this software. I used this with Logic Pro on my MacBook and had no issue with the Android phone talking to MacOS. Logic Pro X now comes with an app called Logic Remote that you can use on your iPad to turn it into a controller for Logic, it usually works well if you have a good Wi-Fi signal. When you are mixing think in terms of where you want to hear things, not only from a point of view of panning but also where different instruments fit within your mix. If you can't hear it why is it there? Something they don't tell you... It's just different from VST... To hear back MIDI when you play your keyboard you either have to press the "Record Enable" or "Monitor" button. Otherwise you will get no MIDI signal on a channel and therefore no midi out signal on the transport bar. This applies to all the subsequent versions too. If you are running a dual boot system (OS 9 and OS X) with both operating systems on the same Hard disk. Be careful not to change folder names that relate to one operating system while working in the other. For example while in OS 9 don't change the name of the Applications folder for OS X. When you boot up in OS X you may find that Icons can't see their target programs (? in the Dock) as well as sundry other problems. Systems need to be optimized to record and playback audio. Have you turned off your screensaver? Will Energy Saver kick in? These are things that may harm your recordings so make sure your computer is optimized for running music software. If you use your machine for multiple functions, what about a separate account for music that is optimized? Make sure you have enough in your machine. You can get one big sampler instrument and it can completely blow out your whole song if it can't play back or even record. With modern machines and modern software you need a minimum of 2GB of RAM. Please note that if you have bought more than 4GB of RAM you must be using the 64bit versions of software to utilise more than 4GB. In any dual core machine you have to put in new RAM in pairs, so if you want to buy 2GB of RAM then you should buy 2 x 1GB instead. Make sure that the internet is disconnected and that your Firewalls and virus scanners are turned off completely before you start using your music software. These programmes get in the way and will probably cause you all sorts of problems as you try to record or playback. I just couldn't believe this but it's true, see this M-audio link. There are three main types of G5 out there. Those with either PCI, PCI-X or PCI Express. When G5's were first brought out they moved to a new format of PCI called PCI-X. The Audio interface manufacturers started making PCI-X cards or fixing your PCI cards so that they would work with PCI-X. But Apple decided to make one of each new range of G5s with PCI so that people didn't need to do this. When they got to making just Dual Processor machines the lowest machine in the range (first the 1.8 DP and then the 2.0 DP) had PCI rather than PCI-X. Unfortunately, they had made a machine that would not work with a number of PCI cards on the market. Having spoken to a tech guy at M-Audio, it would appear that Apple have known for ages but have not been able to address this issue. Please beware if you have a G5 with a Firewire 800 and 2 x 400 ports that you can't necessarily use them all at the same time. The Firewire bus on my G5 has only got 800 M bits of bandwidth and if you try to run an external Hard drive on the 800 port and an audio interface on a 400 port, the interface will only run intermittently. The 800 port hogs the bandwidth whether it needs it or not. This is a known issue. The answer is to only run FW 400 equipment when you are recording or playing back audio. Intel Macs are made in a completely different way to the old Macs in terms of the processor and therefore their core operating system is completely different. They may look the same but they aren't. If you have already purchased your software (i.e. Logic or Cubase) and other hardware (audio interface), you must make sure it is compatible with Intel Macs. If you have Logic 7.2 or later great, if you have earlier versions beware. Make sure your software and hardware is going to be compatible, check with manufacturers websites etc. If you don't check you could end up spending a lot more money than you expected or end up with software or hardware that just doesn't work.... at least for now. Everybody seems to be moving in the right direction but who knows how long this will take. Be prepared. I can't put an exhaustive list here so make sure you check first. In my opinion don't, with older versions of Pro Tools Hardware and other software, this set up seems to have compatibility issues. If you look at forums like the Yahoo Logic User Group people have nothing but hassle with this set up. Drivers that work with Logic aren't stable with the Hardware and vice versa. There are stories out there of people who keep 5 versions of the driver on their desktop, just so when it goes wrong they switch to the next. If you want to use Logic then don't buy an 002 or whatever. Go somewhere else. If you buy Pro Tools hardware the software was free, use it. I don't often say stuff like this, it seems to me that life's too short, you want to use something that is easy to use and that doesn't drop out every 2 days. Now Pro Tools 9 is out and the hardware and software can only be purchased separately things have changed. But I am still a bit dubious. The new MacBooks lookgreat have a new Graphics engine and are faster. But beware the Aluminium models only have 2 x USB 2 slots and no Firewire. This is bad for the musicians and video editors alike that can't afford to buy a new MacBook Pro. If they are improving the Graphics card to make it better for things like Final Cut, but you've got to have Firewire for streaming and plugging in your DV camera. Also all the best Audio Interfaces are Firewire not USB 2. If you want a MacBook with Firewire pick up a MacBook Pro. The 13 inch model has Firewire and doesn't demand such a premium. Just always check compatibility with your existing kit. If you like to keep your machine up to date with all the latest software please read on. Like everybody else I like to keep up to date however, I don't have a limitless pot of money to dig into and I 'm sure you don't have the time, money or inclination to dig yourself out of a hole. Be very aware that every time you upgrade part of your system. Be it a VST instrument or an OS upgrade there is always a chance that something else won't work and you'll have to upgrade that. You can get caught in an ever more time/money consuming chase until your machine can't cope. You can see any number of examples above. "If it ain't broke, don't fix it". Is the most sensible approach. Sure you have to upgrade sometimes but don't do it when you are just about to start or are in the middle of a big project. For information on Tuition or system set up please click here.